Four years after coping with breast cancer, Wendy Keil received an even more devastating diagnosis. Last December she learned that the malignancy had spread to her pancreas. It is now in its fourth stage. Despite her illness, Weil commutes daily from her Morristown home to her job as a campaign executive at the Jewish National Fund’s branch office in Florham Park. And she continues to be engaged in a fight that extends beyond her own-life-and-death battle. She is actively involved with Pancreatic Cancer Action Network, as well as in walks and benefits for breast cancer sufferers. 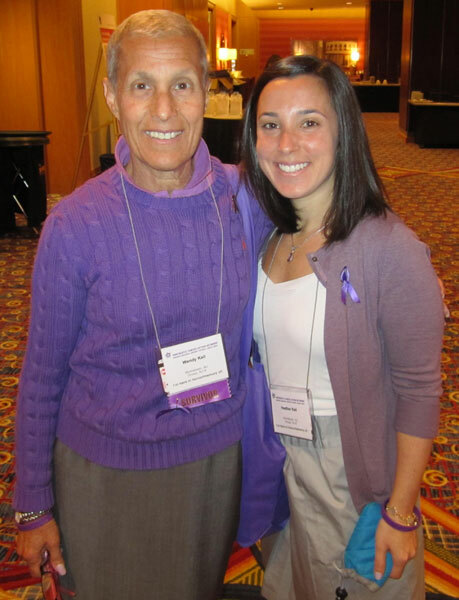 On June 14, she and her daughter, Heather, joined some 600 other volunteers in Washington, DC, for the group’s fifth annual Pancreatic Cancer Advocacy Day. 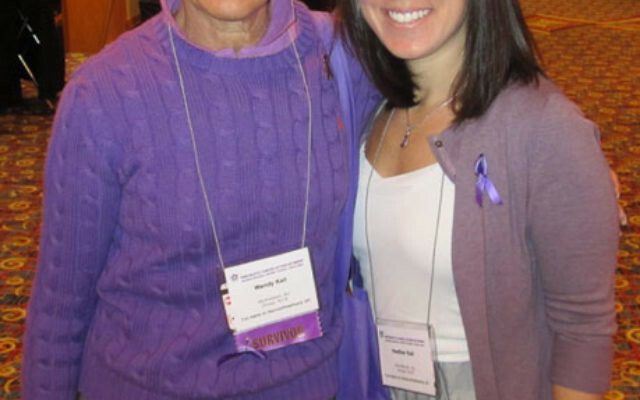 The two women lobbied members of Congress to allocate more funds for pancreatic cancer research. A week later, she flew to Cleveland to join in a benefit walk there. One of her key hopes is for a means for early detection of the disease that now threatens her life. An optimistic sign is the discovery in recent years of the PALB2 gene, which enables the spread of both breast and pancreatic cancer among Ashkenazi Jews. Keil and her husband, Gordon, an executive at a music publishing company, have two sons, two daughters, and a grandson, Brody Chernoff, who is named after her parents, Herbert and Frances Brody. It is a surname that has graced many areas of the Jewish community, including the Herbert and Frances Brody Early Childhood Center in Whippany, which closed in 2010 after 18 years. Beyond MetroWest, the family has prominently supported the Herb and Frances Brody Center for Food Sciences at Hebrew University of Jerusalem, Hadassah Hospital, State of Israel Bonds, the UJA MetroWest campaign, the Anti-Defamation League, Newark Beth Israel Medical Center, and Temple Emanu-El in Westfield. According to Todd Cohen, media representative at the PanCan network’s NJ affiliate, last year more than 43,000 people were diagnosed with the disease and some 37,000 died from it. Only about 6 percent of those diagnosed with pancreatic cancer survive longer than five years. Noting that both breast and prostate cancers have huge survival rates and disproportionate amounts of the National Cancer Institute’s research budget, Keil said that “94 percent of pancreatic cancer patients die within five or six years, and we only get 2 percent of the money from NCI. That is outrageous. People are not surviving, so they are not marching on the Capitol. We are dying like flies. We have got to get funding. We have so many pharmaceutical companies in New Jersey, and the research would put money into our economy here. “Pancreatic cancer has no diagnostic testing, so that’s the scary part,” she added. Keil said her openness about her situation reflects her “positive attitude. When I found out I had my cancer, I was the first one out there. I let everybody know I had it. I never wore a wig. As she looks at her own dim prognosis, Keil remains determined to leave a legacy as a fighter. “I have four unbelievable kids who are each other’s support system. My husband is unbelievable,” she said. “I have made peace with death. I wanted to do two things in life — be a fabulous mother and save one life. If my being sick and my talking helps one person with pancreatic cancer have a better day or a better week and it costs me my life, that is what I believe I was put here for.